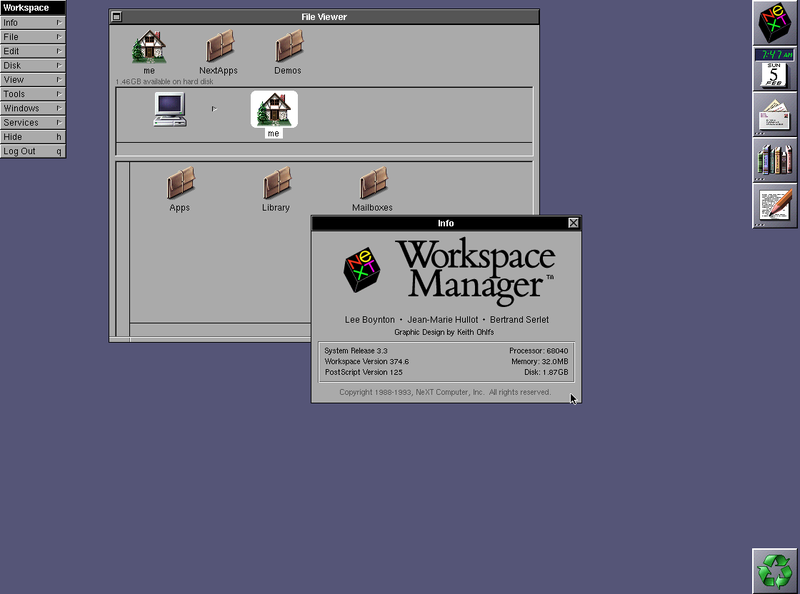 Rather than go through the minor point releases 2.1, 2.2, 3.0, 3.1 and 3.2, I'll just sum up NeXTSTEP at 3.3. 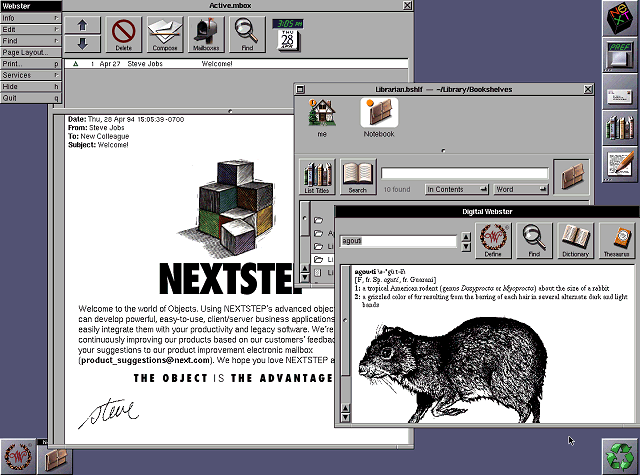 NeXTSTEP 3.3 was the final full release of NeXTSTEP. On NeXT hardware, it was superseded by OPENSTEP. These screen shots were taken inside the "Previous" emulator, emulating a 68k color NextStation. 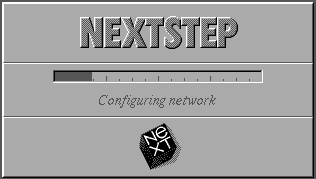 NeXTSTEP 3.1, 3.2, 3.3, OPENSTEP, and an early Rhapsody DR were also available for commodity Intel x86 IBM PC compatible hardware. But by that time, Windows 3.1 had already taken hold. On a fresh install of NeXTSTEP 3.x you are greeted with a "welcome" screen, where you select your language. Hey, we landed on a witch! The rest of the screen shots will be in color form this point! Technically, some of the 2.x versions can run with the color displays, but they retain the same monochrome appearance. NeXTSTEP 3.0 provides full color icons and a colored background. The file browser now defaults to Icon view. 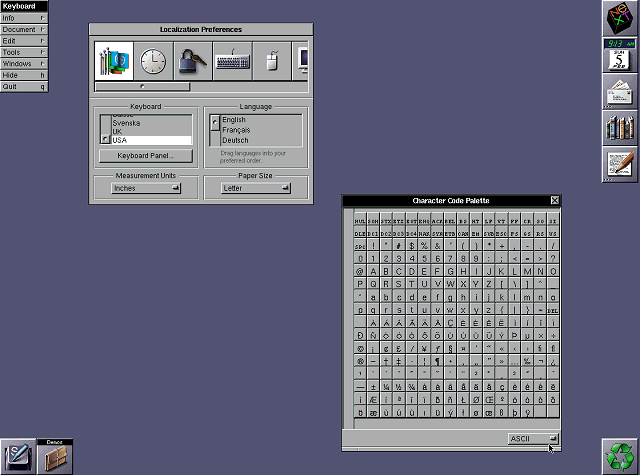 Some of the NeXTSTEP 3.3 applications, and another e-mail from Steve! One notable addition to NeXTSTEP 3.x is an international settings panel in the Preferences.